The concert of Al Murray will take place on 19th of November 2018 at the Dubai Opera. 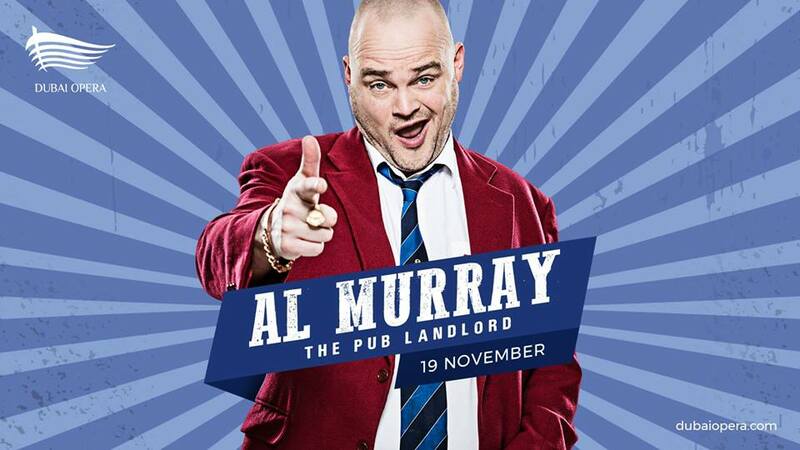 Al Murray is one of Britain’s most recognizable comedians will perform “The Pub Landlord”. A distinctive feature of El Murray is his image of the pub owner and a burnt British patriot who does not tolerate any overseas tricks. He is also known for his not very delicate work with the hall, which sometimes turns his performance into a formidable bacchanalia. Murray’s huge stand-up shows have made him one of the most popular live comedians in the UK, with sell-out gigs at venues including the O2 Arena in London, with critics hailing his act as “one of the funniest of the decade, if not the century”. Age Limit: This show may contain mature content. We recommend a minimum age guidance of 14+ Patrons under 14 years old must be accompanied by an adult.